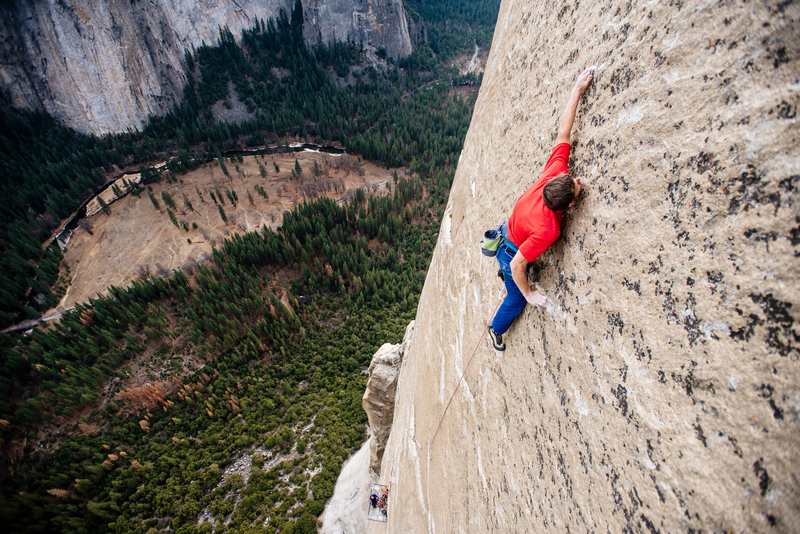 Tommy Caldwell is a professional rock climber and personal inspiration to us here at Cause of a Kind. 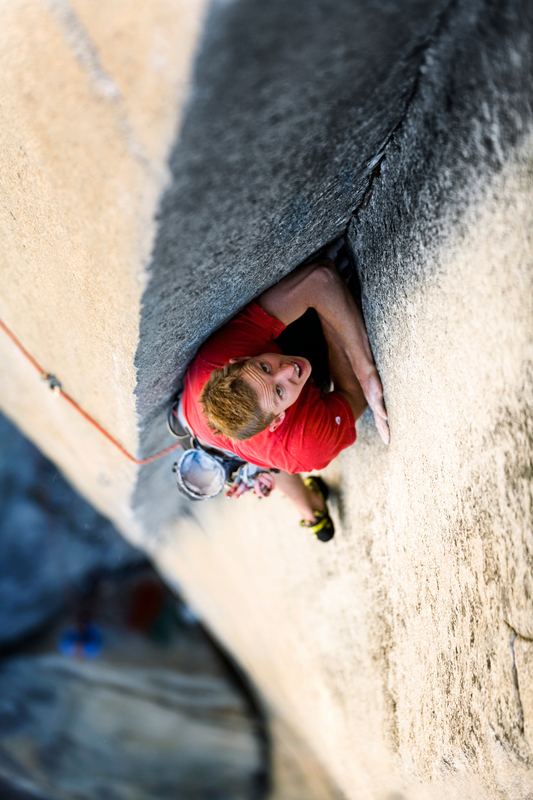 We grew up watching his incredible ascents around the world in every discipline of climbing. 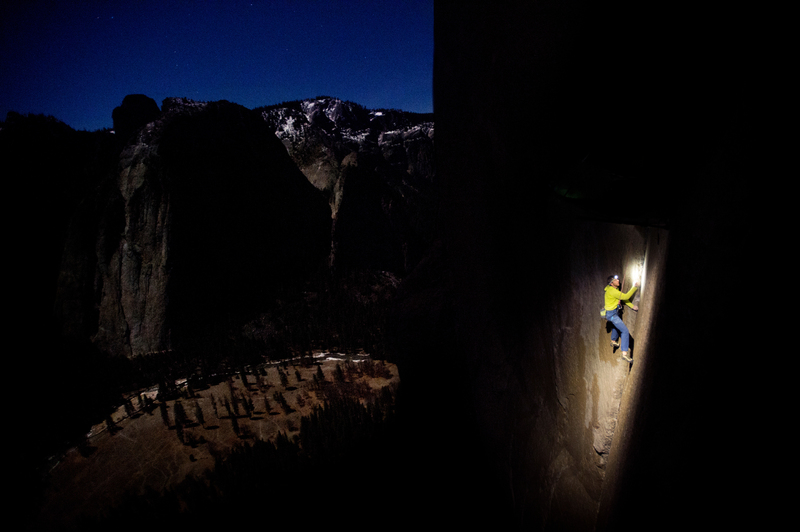 He is one of the world's greatest all-around rock climbers with ascents like Flex Luthor (5.15a), the first free ascent of Dawn Wall on El Capitan, and the first ascent of the Fitz Traverse in Patagonia. For those that want to hear even more we encourage you to check out his memoir, The Push, released in 2017. 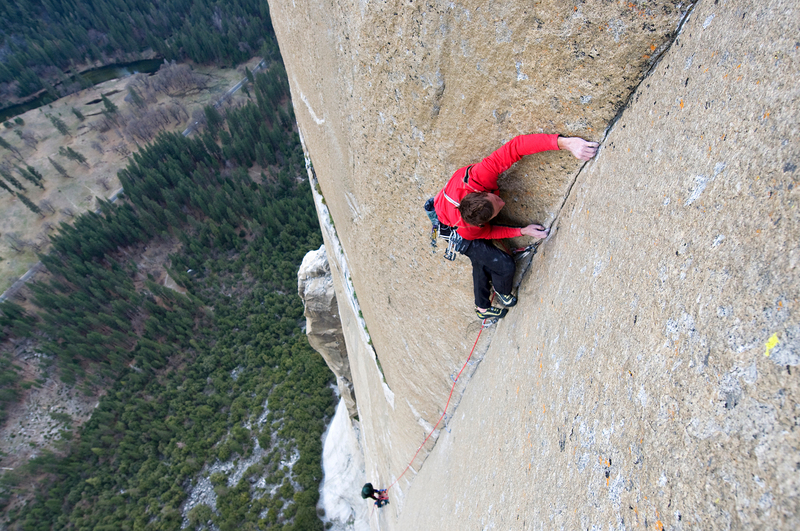 You have had a seriously significant rock climbing career. Tell us a bit about your origin story. 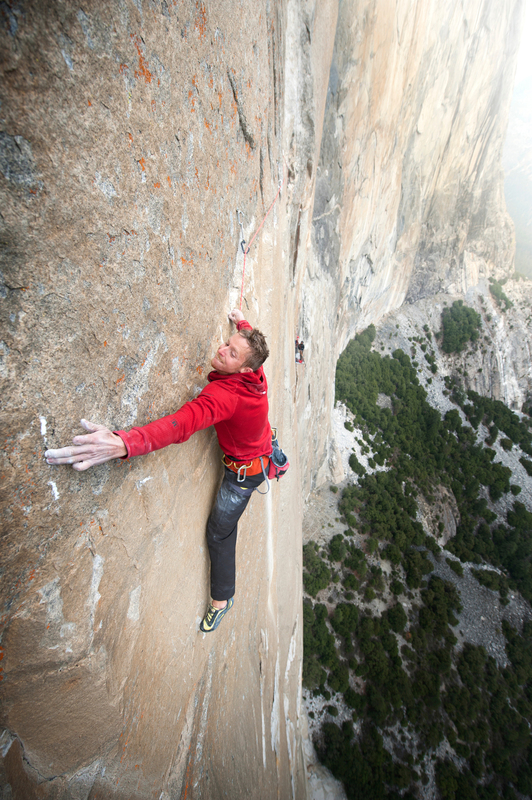 How did Tommy Caldwell find rock climbing and why did it become your life's work? My dad was a mountain guide and had me out climbing from age three. I never aspired to make it my life's work. I just did what I knew and what inspired me. In my early 20’s I started to understand what a privileged life I lived. I traveled the world and went on progressively bigger trips. I did a lot of sport climbing and bouldering. 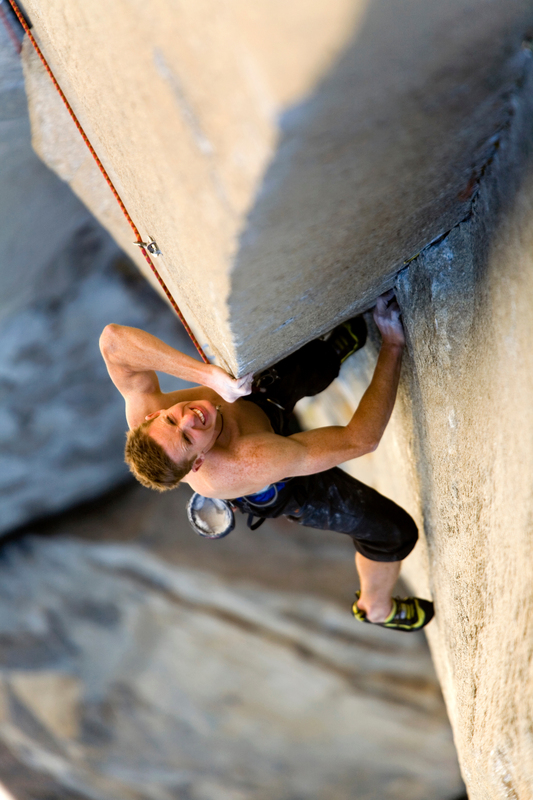 I became increasingly obsessed and at some point I realized I could actually make money climbing. It has always felt like a bit of a dream to live my life doing what I do. You’ve been kidnapped in Kyrgyzstan, cut off part of your index finger, freed Yosemite’s most difficult big walls, sport climbed 5.15a, completed the Fitz Traverse — the list goes on. Throughout your career we’ve seen you through incredible difficulties, setbacks, and triumphs. It seems that burnout is not something that happens to you. How do you maintain motivation and continue to set your goals higher and higher despite both failures and the exhaustion that comes with success? One thing that has kept me immune from burnout is that I have been able to embrace the ebb and flow. Setbacks and and hardships are great perspective builders. They humble me in a way that makes me feel lucky for all the good times. Progression is the most addicting thing in the world for me and continued progression would not be possible without the occasional reset. Maintaining a position as a top athlete in the world for so long and being in such a visible position comes with a lot of pressure and expectation. How do you balance your career, your family, and your passion? The balance is probably the crux of my life these days. I rarely feel like I have it quite right. With my family I have been forced to up my productivity. Constantly ask myself what is really important to me focus on that. I am also quite lucky that my family loves the climbing life. So road tripping to climbing aras and traveling fulfills both climbing and family expectation. I have definitely had to sacrifice sleep in the past few years. 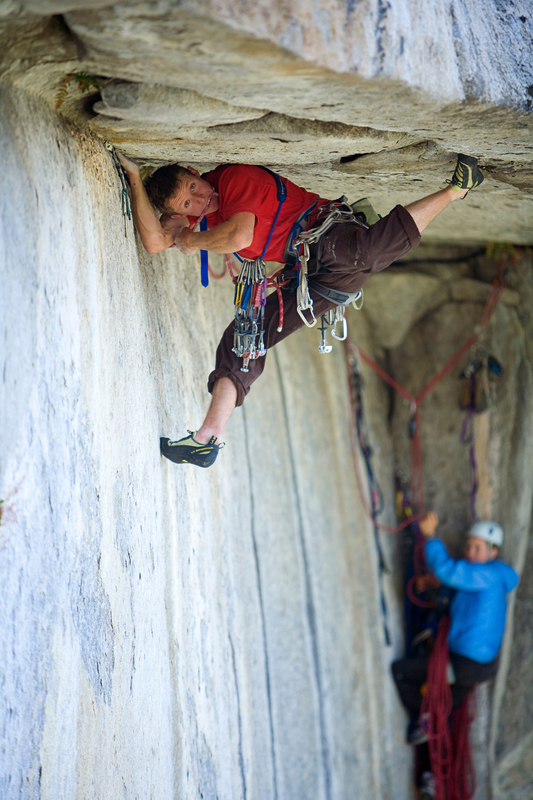 How do you come to set new climbing goals? Are there any goals that have eluded you? Do these goals ever seems impossible when you start? And if so, how do you get past that doubt? I feel like I spend the majority of my life failing to reach goals. But I am really persistent and in climbing you can just keep coming back to something until you finally manage to do it. I have come to a point where I love process and the lifestyle of pursuit more than the achieving of goals. That helps with the doubt because in a way it doesn’t really matter if I succeed in the end. In general, what is the scariest or most profound experience you have ever had, personally or professionally? My experience in Kyrgyzstan in 2000 was the most impactful of my life. It reset how I view the world. Most days since I have felt incredibly lucky to be here and alive. What has been the biggest surprise and challenge of fatherhood? All the cliches of fatherhood become absolutely true once you have kids. I live my life both overwhelmed and absolutely in love. I have been somewhat surprised by how much introspection fatherhood has created. I feel a need to constantly analyze how I live so that I can both support and be a good example for my kids. What advice would you give to your child as they set out to achieve their own life goals — whether that be in climbing or whatever their passions end up being? Maintain a humble heart but an ambitious mind. Focus on the way you live more than on how you are seen by others. You have been literally all over the world for your career and to climb. You must have seen first hand, the darkest of environmental crisis. Can you tell us a bit about some experiences you have had that made you feel upset or concerned for nature's well being? The most obvious symptom of environmental change I have seen is in the receding glaciers. The big mountains are melting out and falling apart at an astonishing rate. Bug infestations are wiping out forests all over North America. Forest fires and floods are bigger and more devastating than ever. It hard to pin down the darkest. If your eyes are open you see it everywhere. Travel makes you understand that it is a worldwide issue. 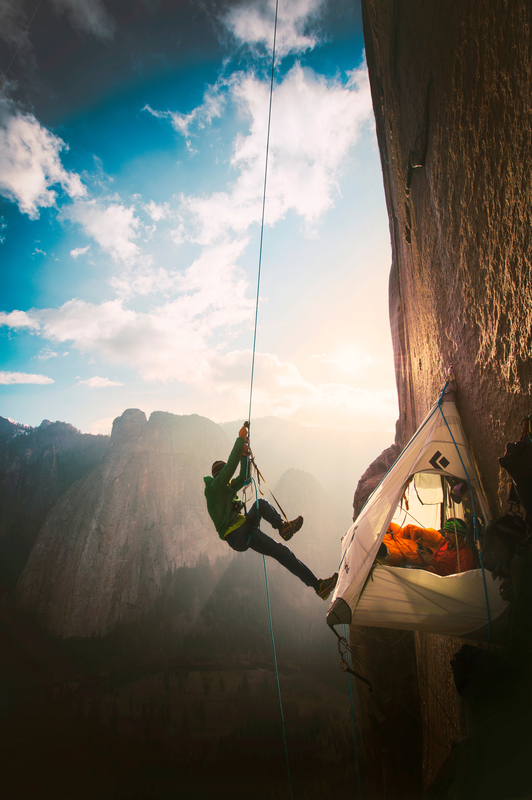 After the Dawn Wall I wondered if I would be done with Yosemite for a while. But I realized that the Family/ climbing/ work balance is best when I am there. So last fall I found a new big El cap project. I am also planning on renting out my house and hitting the road for a full year with my family starting this summer. That will certainly be an adventure. All photography credited to Corey Rich Productions.